One Million Nook Colors by Year End! 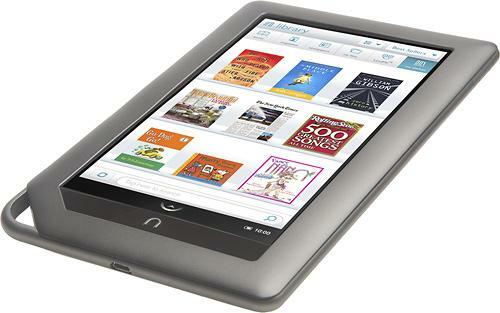 Looks like Nook color e-book reader is a success and Barnes & Noble say that they have already shipped more than a million in 2010. This is a huge number considering it was released in mid November this year. Not just that but Inventec is also expected to process orders for 6 to 7 million Palm WebOS-based tablet telecommunication devices from HP next year, Digitimes reported. Inventec CEO Richard Lee said that the firm would see its server business revenues of $2.29 billion this year it self and expects that to grow to $3.2bn in 2011. Lately Inventec has been moving away from the PC market and is more into the tablet market. Shipments from Inventec’s plant in Chongqing are expected to top five million units in 2011, according to Richard Lee, accounting for 25 percent of total notebooks shipped from the city. 10 Million Galaxy Tabs To be Sold in an Year! Next PlayStation Phone Seen, Runs Android GingerBread!